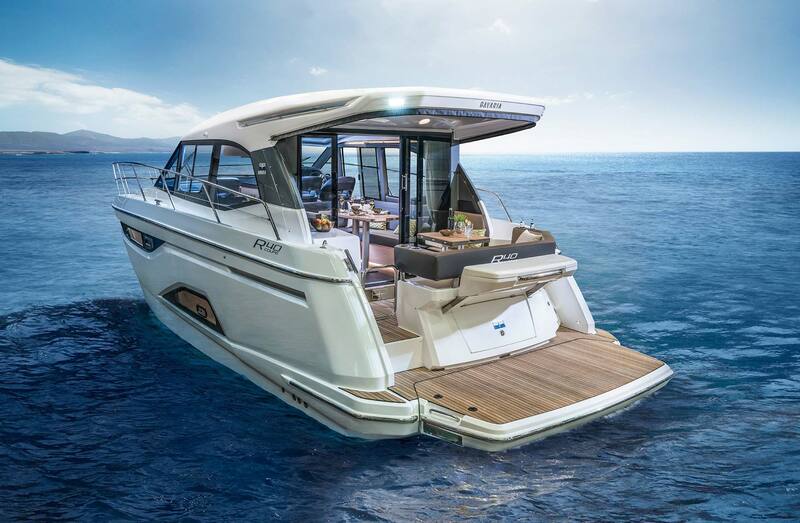 The new Sport 45 embodies all the celebrated features of Bavaria’s Sport line. 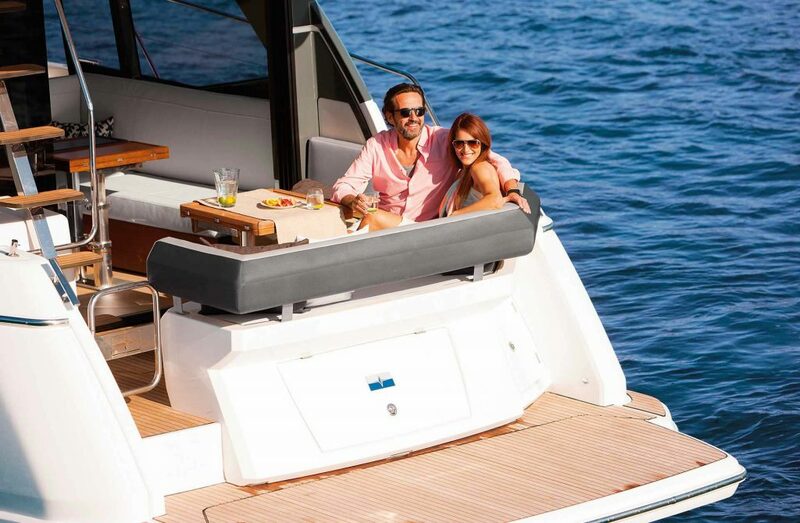 As the flagship of the Bavaria line, the S45 is a luxurious large and comfortable cruiser, that is very safe and easy to handle. 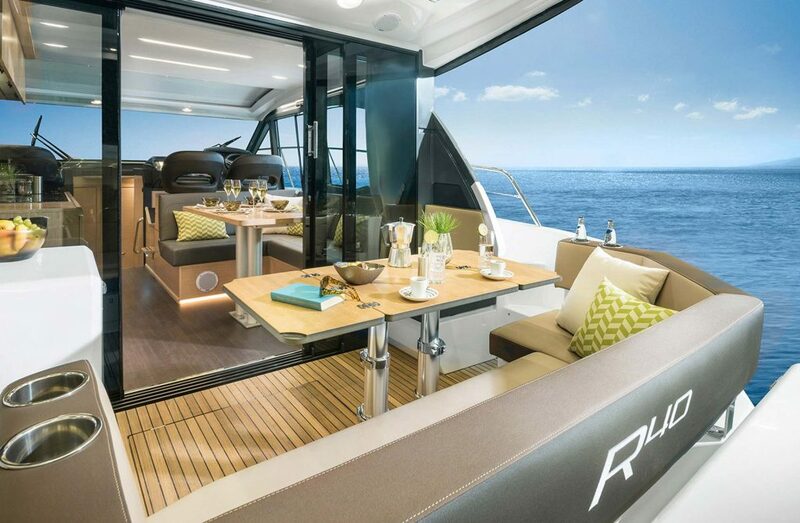 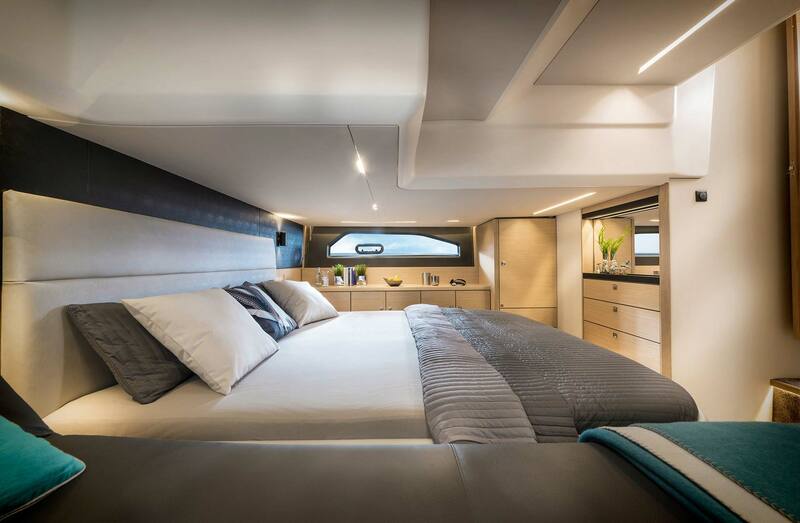 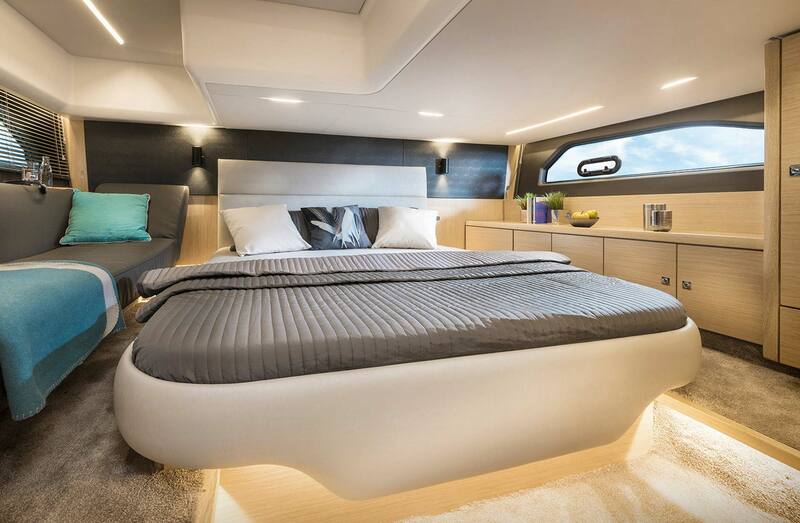 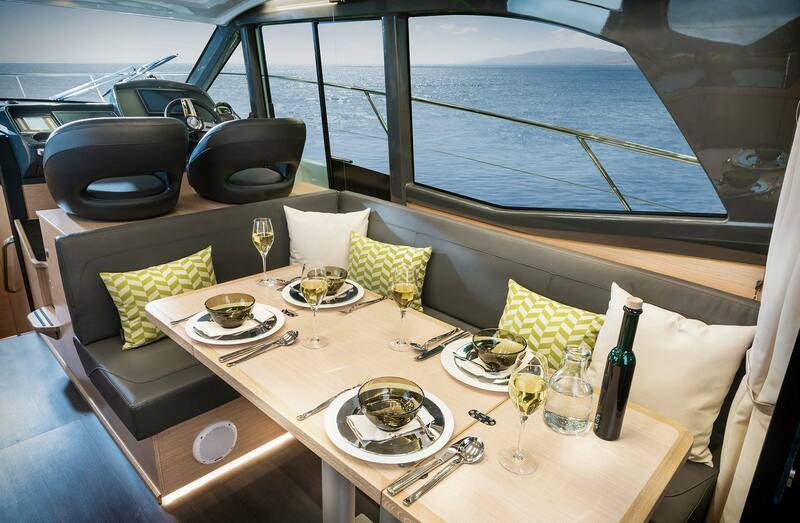 The S45 features a vacuum infused hull that its constructed under strict German Engendering standards. 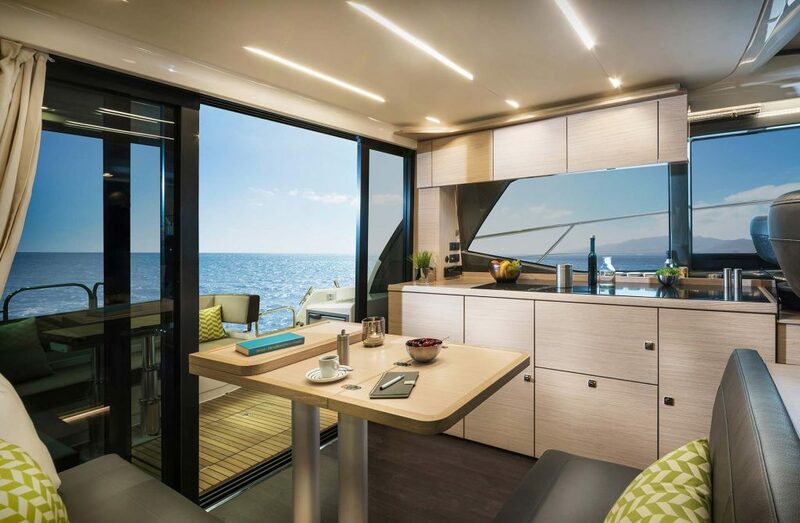 Its open floorplan and thoughtful amenities contribute to an overall sense of ease and flow, at once inviting and invigorating. 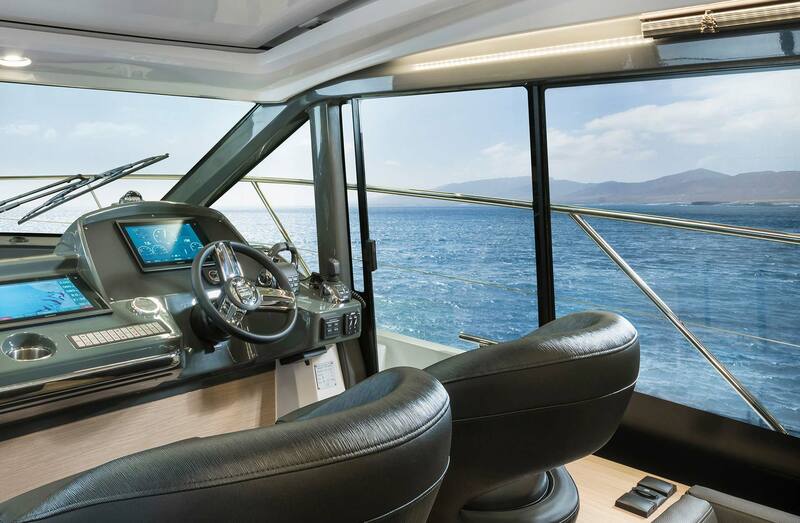 In terms of performance, the standard Volvo Stern Drive engines confined with a light hull deliver and outstanding and efficient performance. 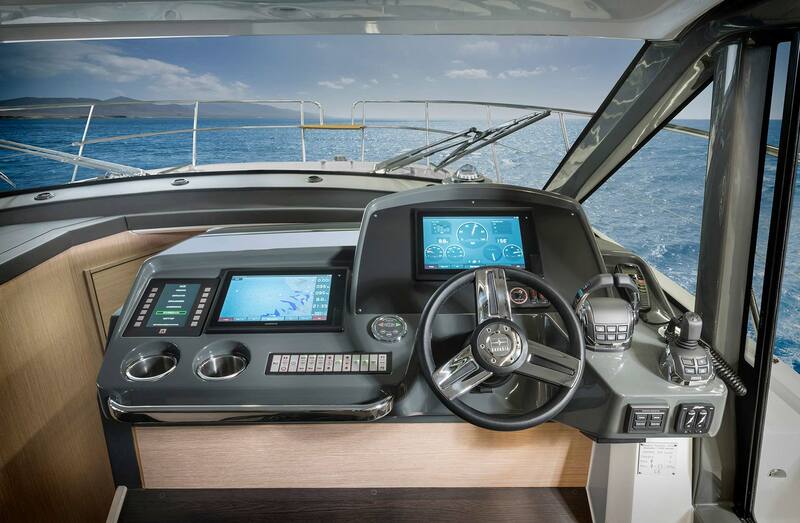 The S45 comes with standard Aquamatic® joystick making docking a very simple task. 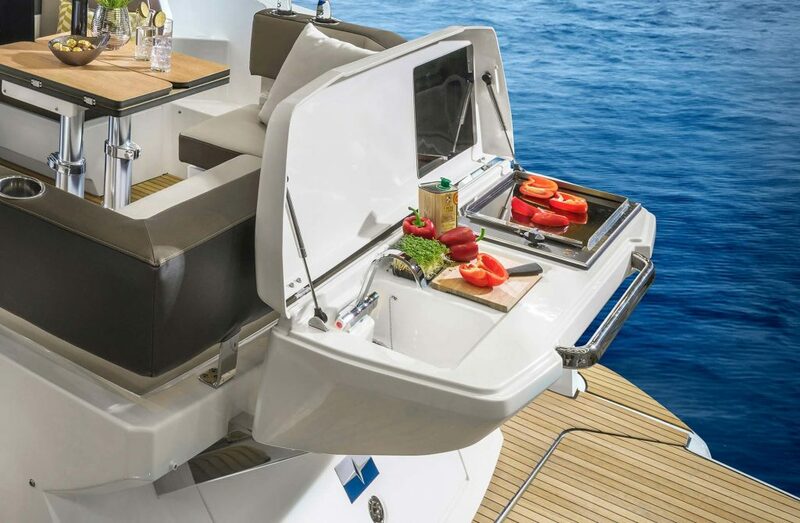 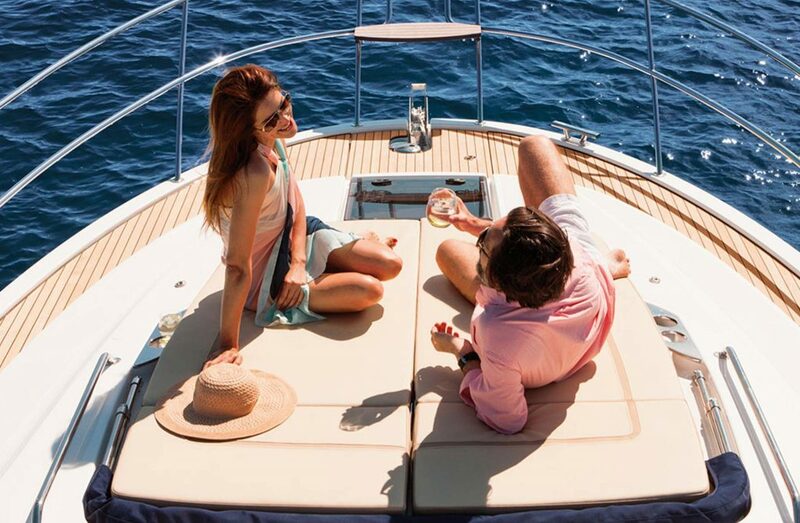 Below deck of the BAVARIA S29 is simply the best place to end a nice day at sea. 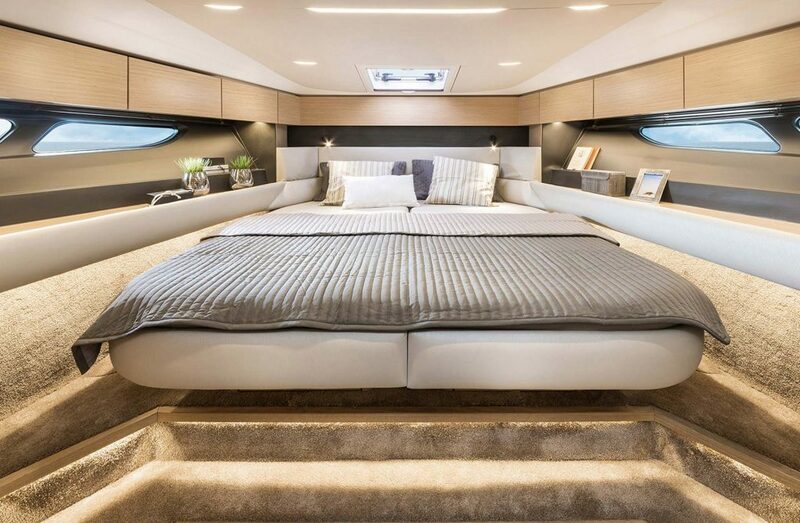 And if your guests want to stay longer, no problem, the saloon table can be lowered and the area transformed into a comfortable double bed. .
LARGE SUN BATHING ENTERTAIMENT AREA. 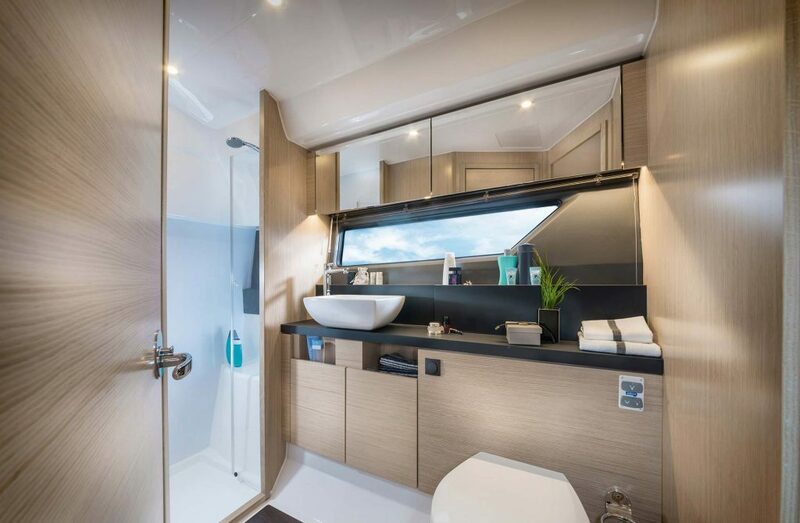 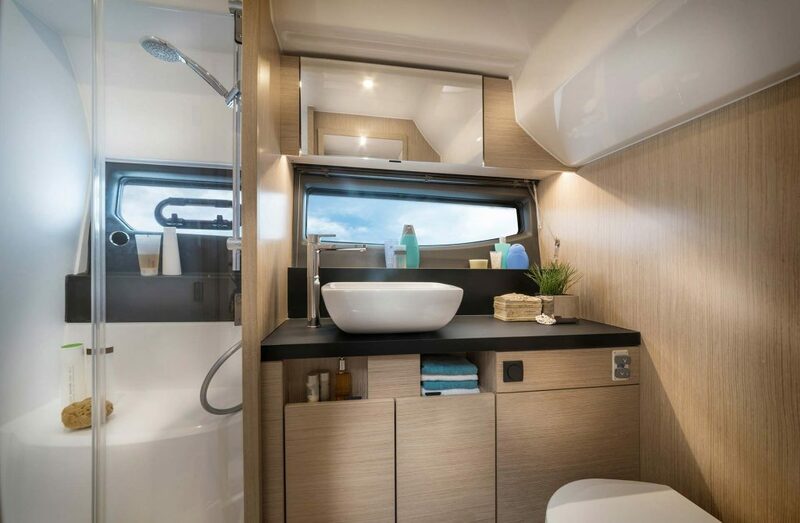 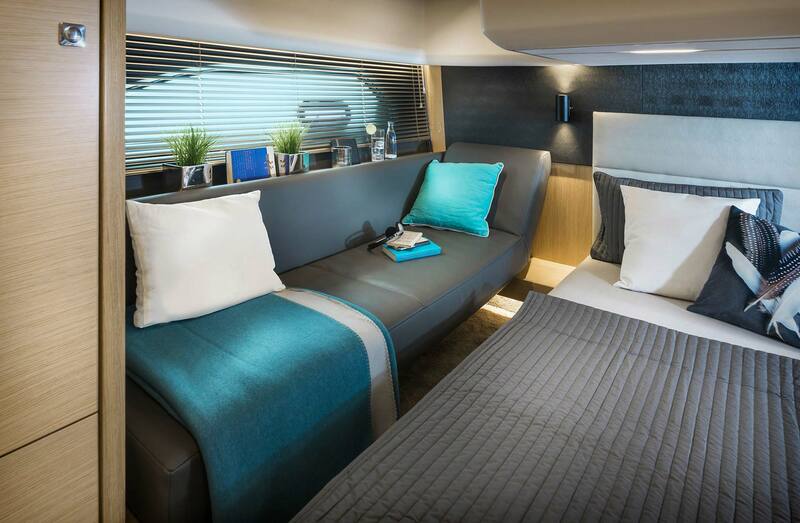 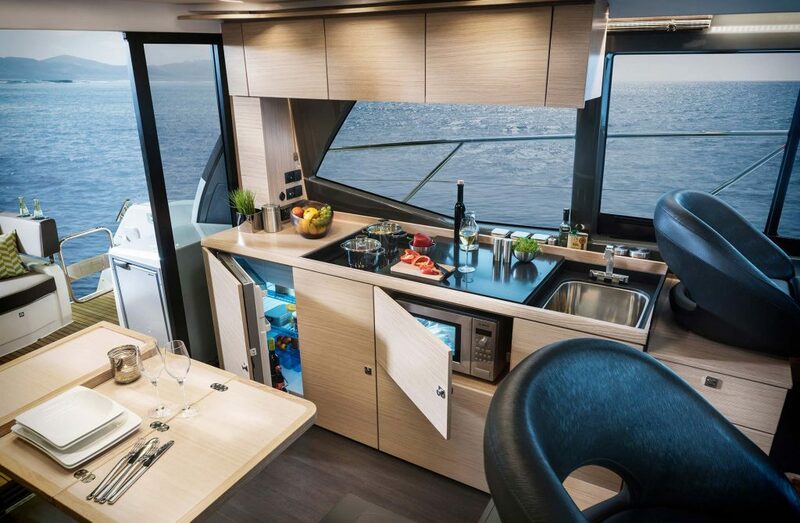 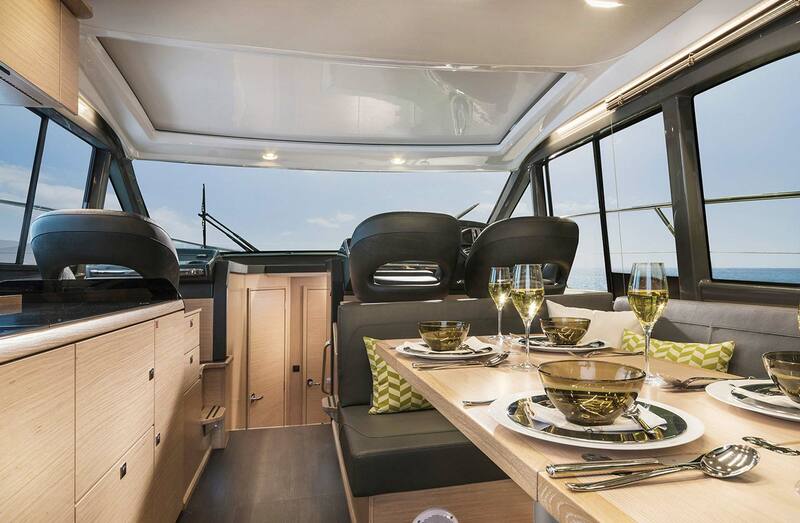 Not only the generous living area but also a spacious double cabin in the stern with two‐metre‐long beds and a functional bathroom make the BAVARIA S29 a true all‐rounder for long and short trips alike. 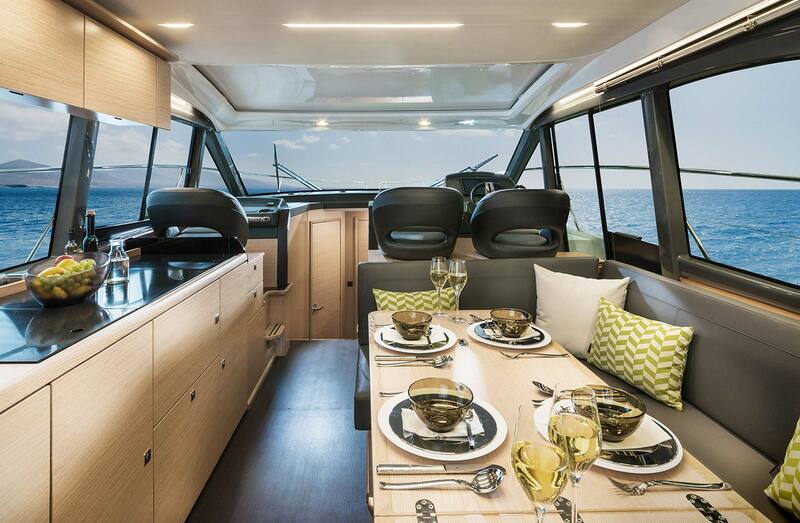 A practical bench in the rear cabin makes it even more homely, cozy and beautiful. 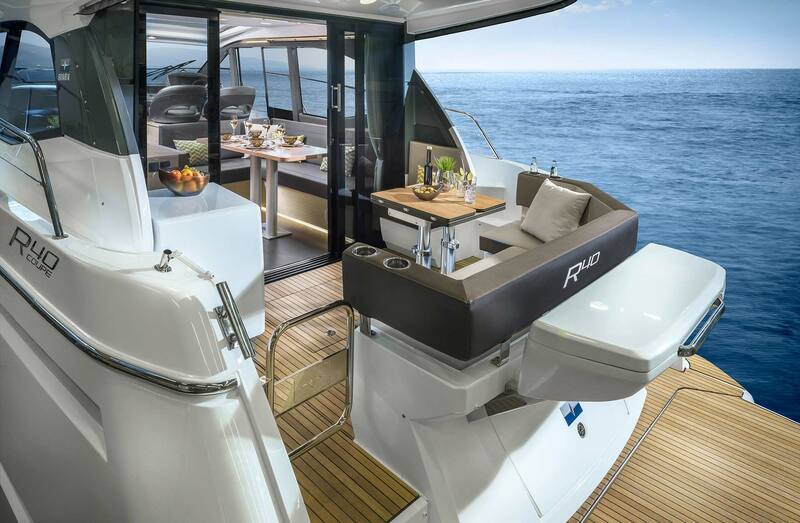 Clever German engineering ideas added to an intelligent deck and cockpit layout, makes the S29 one of the most attractive boats of its size. 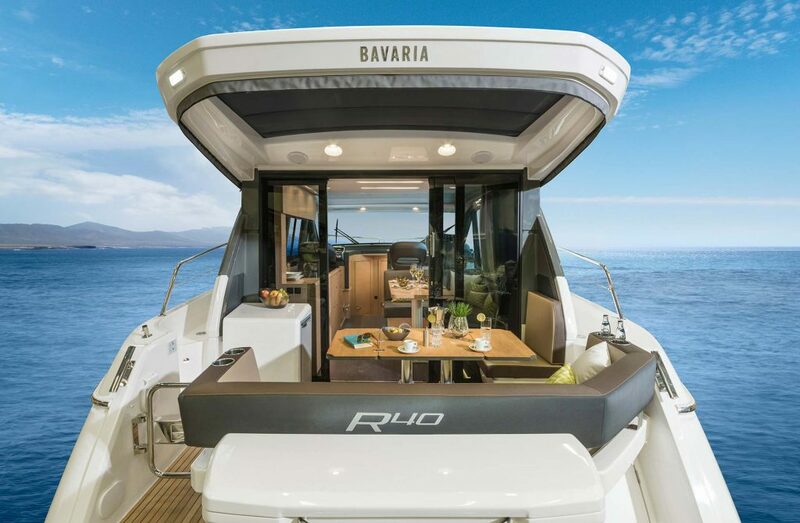 Another click and you will learn more about what makes the BAVARIA 40 Coupe so unique. 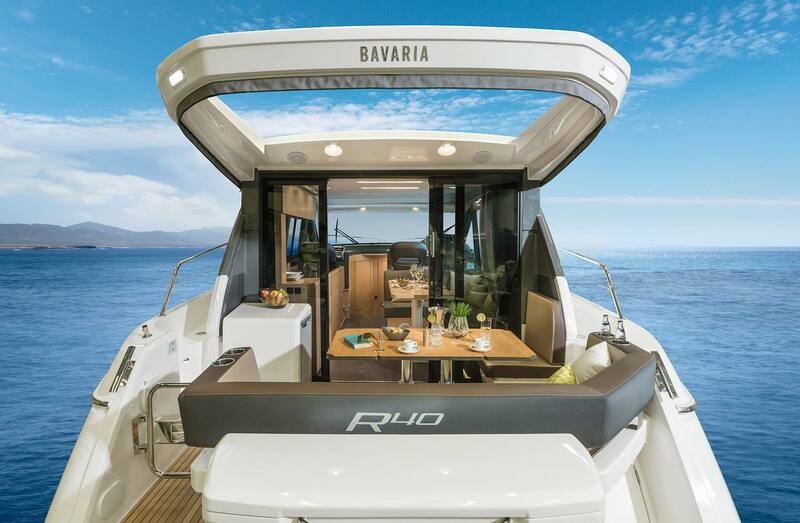 Do you want to configure a Bavaria R40 Coupe ? 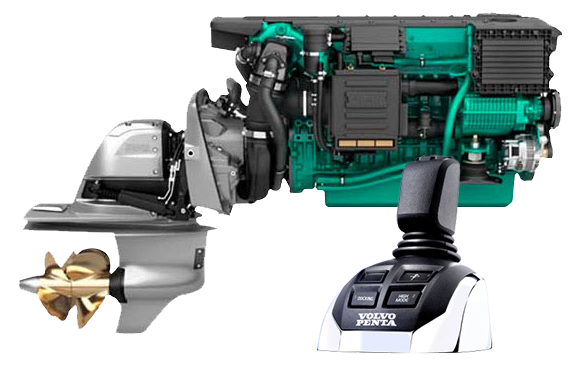 Do you want to speak with a Power Boat Specialist?